We've continued to work on our laundry room but it's a little hard to show our progress due to the lack of light. We'll be reinstalling our old light fixture for the time being and I'll be sharing our progress with you soon! Anyway, let's kick this week off with a new Must Make list! If you're new here, every Monday (well, some Mondays haha) I feature a few projects that have pushed me past the pinning stage and into the must make stage! 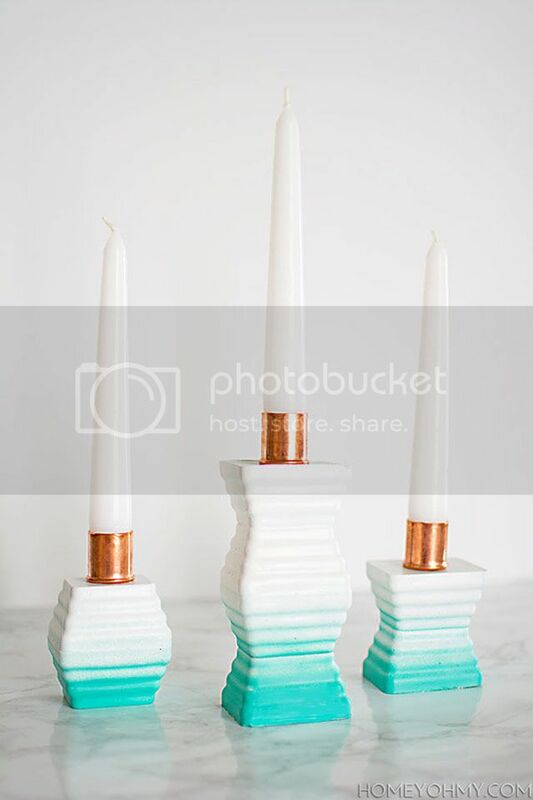 How cute are these concrete candleholders Amy made? I love how she paired the turquoise ombre with the copper plugs. Great combo! I also love the surprise supply she used to form the candleholders! You'll never guess what it is! I've seen a lot of painted rugs before but I've never seen one as cute as the one Tonia made. That hand painted fringe takes the cake! 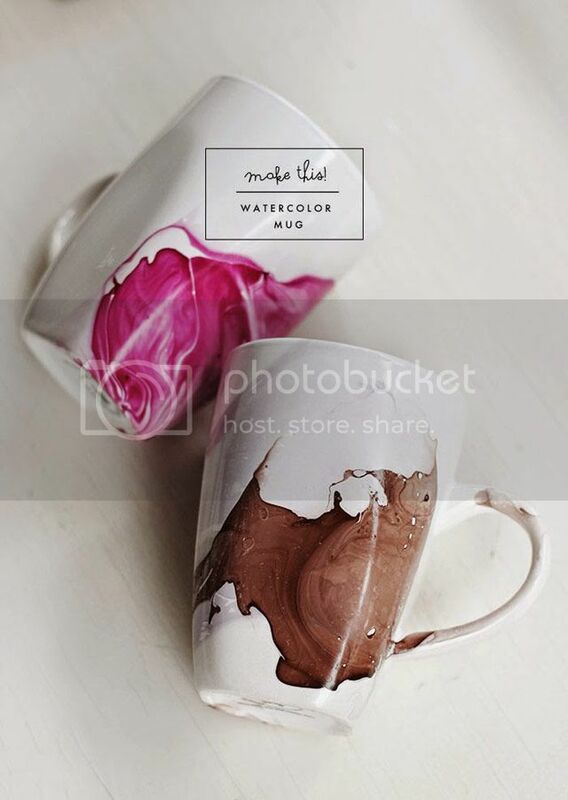 I know I'd fail horribly if I tried to do the watercolor treatment to my nails but I think I could succeed at doing it on a mug! I love the color variations you can achieve and think these would make great gifts! What's on your "must make" list? If you have a project that you'd like to have featured on the next Must Make List, send me a link to it! If your project was included on this week's list but you'd like to have it removed, please e-mail me letting me know and I'll remove it immediately. Great finds. I really like the rug! Those mugs are gorgeous! I love them. What a great idea! Aren't they?! Some people are really clever! Love these picks. That painted rug is awesome. Love the mugs too!! Those mugs look so amazing! That rug... SO unique! 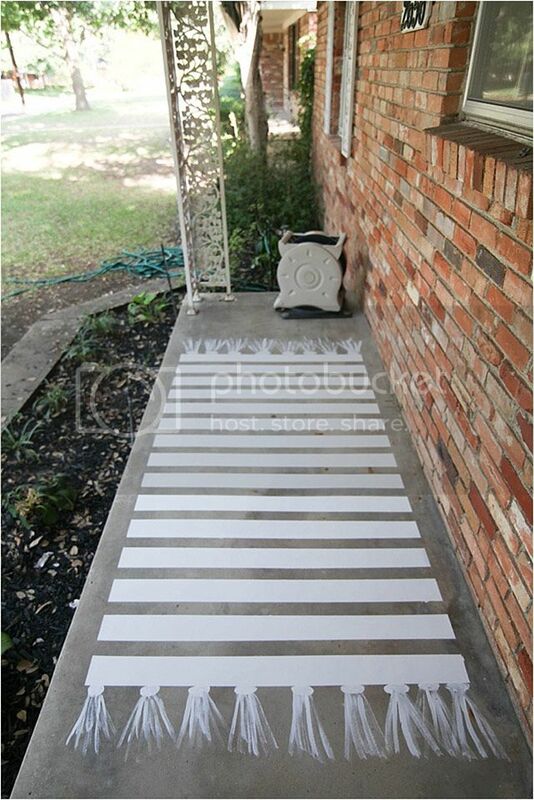 Painting a rug onto concrete is a completely new concept to me. I dig it. Love the mugs! I am going to try decorating dollar store plates with sharpie paint pens... wish me luck! Those mugs look so cool! Love them! Caitlin! How am I just now seeing this? Thank you so much for sharing my painted rug...I am so happy that you like the fringe since that was the only part I did without taping or anything...and i was SURE I was going to ruin it...but I didn't! :) Love those mugs and candle sticks too!